Chances are you, or someone you know, live in an association, or have volunteered to be on the association’s Board of Directors. 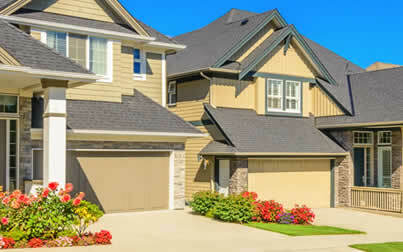 Disputes between homeowners and the association’s board members can frequently arise. Failing to adhere to such association requirements can be costly. The governing documents (i.e. the Declarations) are considered the constitution of the association, which sets forth rules and regulations that all homeowners must comply with. Some of these rules relate to parking restrictions, quiet hours, maintenance & repairs responsibilities, insurance and the collection and allocation of assessments. More complex issues may also arise relating to leasing restrictions, construction defects, and foreclosures. For more than two decades, communities have turned to Nicki Fernandez Asmer for legal advice relating to multiple issue. Her knowledge and experience in community association law has assisted board members in amending their governing documents to comply with current Florida Statute. Many associations have not had an attorney review their governing documents since its inception by the developer, which could cause the association to lose money, or face more difficult legal problems in court. Nicki is focused and driven to achievement. While obtaining her Juris Doctorate from Nova Southeastern University, she simultaneously earned her M.B.A. focusing on international business. After law school, she accepted a position as the Director of Legal Affairs in New York City for a software development company. In 2002, she returned to Florida to further her litigation career. Nicki obtained her Federal license to practice in the U.S. Southern and Middle District Federal Bankruptcy Courts, assisting clients with reorganizing debt and saving their homes from bank foreclosure. She is also licensed in all state courts in Florida. Fluent in English and Spanish, she is a known presence in the Hispanic Community. Nicki is an active member of the Hillsborough County Bar Associations, the Tampa Bay Bankruptcy Bar Association, the American Bar Association, the Hillsborough County Hispanic Bar Association, and a title agent with Attorneys Title Fund. In 2004 she opened Fernandez Florida Law, primarily representing homeowners. Her cases made headlines on Fox News, and she eventually transitioned into representing community associations. Nicki joined FL Legal Group in September of 2016, adding a wealth of experience and knowledge to our practice in the real estate and bankruptcy arenas. She has litigated thousands of cases on behalf of community associations, homeowners and creditors alike. As a proven leader, she works diligently on behalf of her clients to achieve positive results. 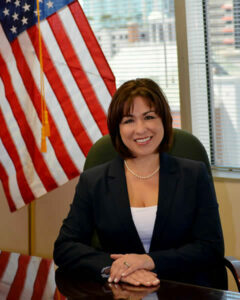 Her experience ranges from real estate title defects, transactional disputes, real estate closings, short sale negotiations, foreclosure defense and prosecution, drafting and amending community association documents, and bankruptcy filings. In 2015 Fernandez Florida Law was voted “Law Firm of the Year” in the Florida Community Association Journal. After joining FL Legal Group, she bestowed that same honor as FL Legal Group was again voted “Law Firm of the Year” for 2017. 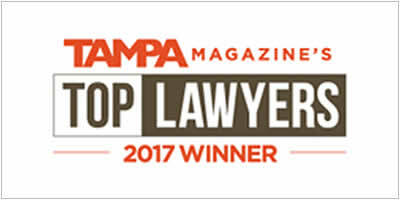 She was recently named the “#1 Community Association Attorney” by her peers in the Tampa Magazine’s 2017 Tampa Top Lawyers. She is certified as a Continuing Legal Education provider for Community Association Managers with the Florida Department of Professional Regulations and has taught countless courses to Community Association Managers and board members in the State of Florida. Nicki has become an enormous asset to our firm. Finding an attorney versed in these multiple areas on both the plaintiff and defendant side of real estate and debt collection matters is no easy task. Nicki has proven to be an asset to community association board members. Whether you are a homeowner, board member, private investor or lender, Nicki can assist you in resolving your legal issues. Please call 1-800-984-9951 to schedule a free consultation today.